I can’t actually remember when I first learned about this crazy sailor guy named John Kretschmer. But I do remember that I instantly liked him. I picked up his book, Cape Horn To Starboard and read it faster than I had read any other book, besides Green Eggs & Ham. John and I met in person that same day I met Mia and Andy… at the Miami boatshow in 2010. I’ve read every book John’s written since then, and find his writing quite engaging, he’s a skillful and experienced storyteller. 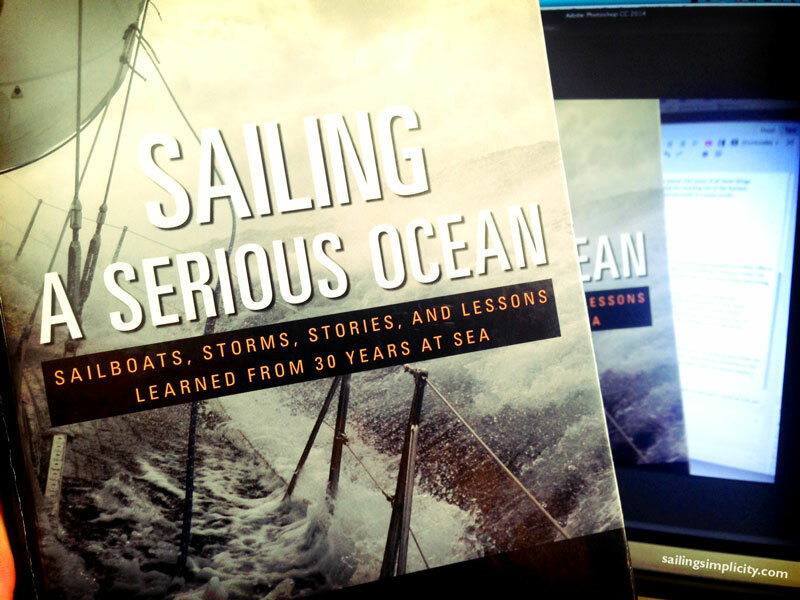 His latest book, Sailing A Serious Ocean is another great read. 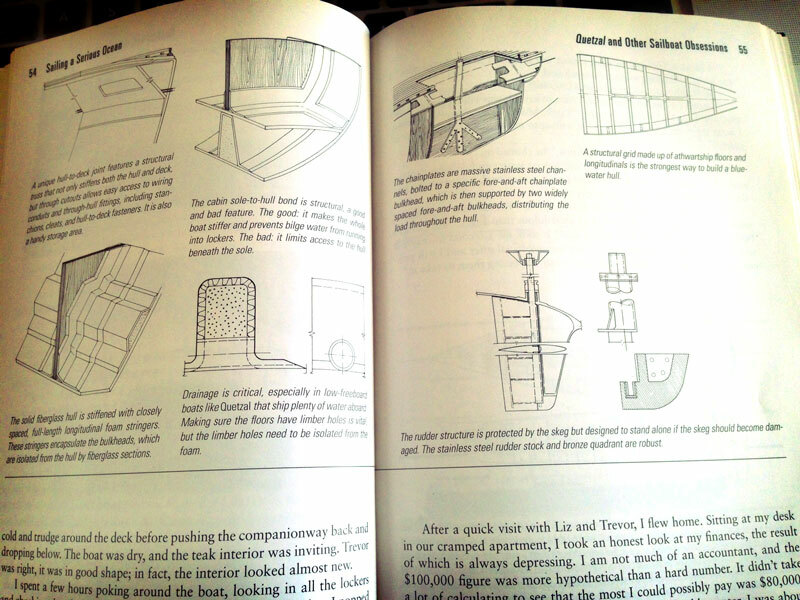 In this one, he tells more wild and crazy sailing stories while also infusing some real useful technical data and experienced based instruction into the pages. 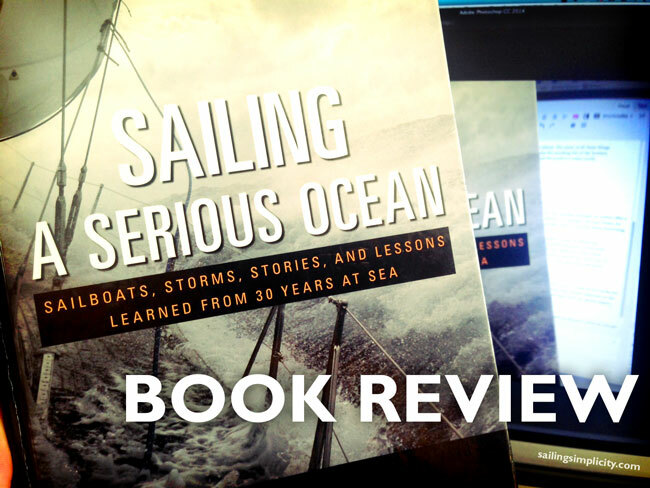 He’s managed to give me two things I love – sailing stories and detailed information – all in one book. But he does this in such a matter of fact kind of way, that I don’t feel like I am reading a How-To book, but rather reading long lost journals from a master, the likes of Darwin. John makes no claims to be perfect. In fact he illustrates his lessons quite often by telling stories of mistakes, and close encounters. Humility of this kind can only come with vast, vast amounts of experience. He shares lessons on storm tactics – one’s he’s tested personally, over and over. He shares thoughts on hull and rig design – one’s he’s sailed personally, over and over and on long passages. He poses realistic questions to consider before buying a boat – the questions brokers don’t want you to ask! He’s got a list of the boats actually out there cruising over the past 12 years. I was happy to see our Norseman 447 made the list a few times. He illustrates realistic Man Over Board techniques – of course, from experience! And wouldn’t ya know it – this person went overboard while relieving themselves over the side – but the cliché ends there. It was a woman. In the artificial world of his cities and towns, man often forgets the true nature of his planet. The sense of all these things comes to him most clearly in the course of a long voyage, when he watches day after day the receding rim of the horizon, ridged and furrowed by the waves. And then, as never on land, he knows the truth, that his world is a water world. This chapter is, with all humility aside, my small, personal version of Heavy Weather Sailing (Adlard Coles). It details my experiences in some of the storms that made my top ten list from chapter seven that are not described elsewhere in this book. What makes my experience unique is that I have dealt with storms in a variety of boats and with very different crews. There are certainly lessons to be learned from my encounters, and more likely than not, they’ve been lessons learned the hard way, or even the wrong way. I seem to learn only from my mistakes and I hope the storm stories that follow will help you avoid some of the same pitfalls. I really can’t recommend this book enough. We have a pretty strict book policy onboard Rocinante. There isn’t room to keep all the books we love. Most of the hard copy books we have are reference books. Novels and biographies don’t make the shelves, they remain digitized on the Kindle. But this book of stories, has a place on our shelf. It’s a great reference, and one we like to pull out and share with our Morse Alpha students. 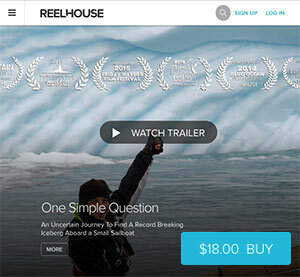 Editors Note: John also imparts insight in our film One Simple Question, you can purchase the film at REELHOUSE. Ahoy Ben , sorry to loose you as a BCC owner and enthusiast , but now I could use some of your hard won winter boat heating experience advice . Fresh back to the PNW from 12 years in S E Asia , and living aboard this winter on hard stand . Planning a cruise to AK this summer and searching for a heater for my BCC . Seems like every heating system has it’s drawbacks among it’s pluses , so if you were to chose a heating system for Elizabeth today , or even Rocinante what would that be and why ? Hope things are going well on your 447 , and Thanks for the book review on author John Kretschmer , his works are now on my book wanted list too . But onto heat. We are installing a sold fuel heater on Rocinante. I’ve never had one, always wanted one… the romance, the smell, the warm glow… Ahh… But I am concerned about storage of fuel. I think for simplicity, diesel makes the most sense. We’ve already got diesel aboard and plenty of it. All that would be required is adding a low PSI pump, a valve and some hose. If we find the solid fuel heater to be annoying, we will go diesel for sure. Diesel bulkhead heater that is. We have the space already built on the boat for it. On the BCC we had the kerosene heater. I wasn’t a big fan. Smelly. The only reason I think they install those heaters is for convenience. You only need a 1″ exhaust pipe and don’t need much height. I do believe forced air provides superior heating, but the cost of locker space is prohibitive on a 28′ I think… even on a 44′ I think it would get in the way… all those heating ducts… yuck. That’s my 2 cents on the heating subject. T Y for u r reply Ben ,,,, Ok so you can still enjoy your BCC Moments especially in the movie . I was thinking of solid fuel too ,,, a Kimberly wood stove, would replace my propane Mariner cook stove in the winter and switch back in summer . The Kimberly , https://www.kimberlyepawoodstoves.com/kimberly-wood-stove was what I found , and liked , but was disappointed that it needed a full 6′ from floor to ceiling clearance, because it’s flat top gets up to 1400 (+ -) F . Two of it’s pluses are v low emissions , and long burn time on one load . I am still curious about that “Devil Watt” thermo-electric generator as a wood stove accessary too ,,, like could u put one on a stove top burner to generate amps ? The Seattle Boat Show is next week , so I will continue field research there . Say Hi to “T” for me ,,, I sure do like her enthusiasm for boats . Wow, that is a sweet looking stove! Sounds like a great little stove — but yes, the trouble is the height needed on alot of these hotter burning stoves. I love the idea of the Devil Watt… brilliant. We are installing a new wood stove called The Cubic Mini. I’ll be doing a video about it once we get it installed. Yes, plenty of wonderful BCC moments in the movie! Can’t wait to share it with you. Any news on the stove how do you like it? I installed a wood stove on my BCC. I was able to squeeze it in by using 1″ of solid fireproof insulation that I wrapped in copper as a heat barrier. I could reduce my clearances then. One type of insulation that would work is called Foamglas. Hi Jonathon! Good info there. I think I remember seeing yours?! BTW, we are nearby. We should get together! Looking forward to your video (movie) release. I’m forwarding this to a friend in Annapolis, Liz Horken, who may be interested, along with her sailing friends, in hosting a screening. Thanks Ben for brief review and recommendation of John Kretschmer’s book. 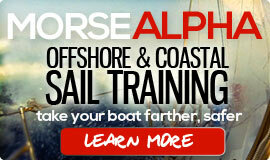 Always looking for both personal and documented ocean sailing experience that you two and he are able to offer. Great video you two! And great book review. I’ll be sure to add it to the collection of books I’ll be reading this summer on my sailing journey. I have recently read this book twice – once straight through and then once again to take notes! it really is a cracking read. Part story and insight and part lessons learnt. 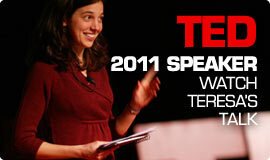 Fantastic stuff…i am envious you know the man himself…enjoying you blog and loved the TED talk. I just got John’s book and yes, I love the combination of great story telling with practical useful information. I have read lots of sailing books wanting that romantic experience of the imagery but unfortunately most give very little practical information, or assume one knows all the sailor lingo. I have learned more about the practical aspects of sailing in the first three chapters than I have with all the other “adventure” sailing books I have ever read. I am a firm believer, as a teacher, we can weave a great story while also satisfying the inquiries of those sincerely wanting to learn. Learning need not be boring and adventure and romance stories need not be detached from the real world or practical learning. Why not get two birds with one stone? One reason I love following Sailing Simplicity is the practical knowledge that is often given that might not only help me decide if I would really want to live on a boat or sail across an ocean, but also might save some one’s life. Again, the best stories always have “real world” value….. Thanks for the review, I will read that next! !